BATON ROUGE, La. 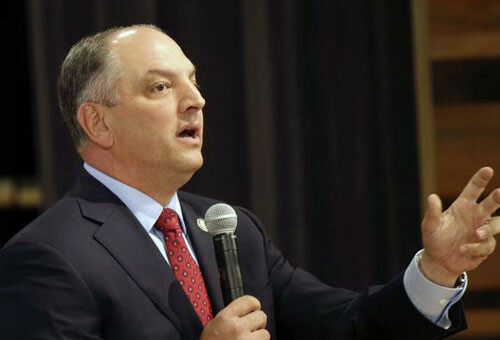 — Louisiana Gov.-elect John Bel Edwards says he’ll issue an executive order when he takes office in January that bans discrimination in state government based on sexual orientation. Edwards, a Democrat, said Wednesday the edict will be similar to anti-discrimination orders enacted by Democratic former Govs. Edwin Edwards and Kathleen Blanco. Blanco’s order prohibited state agencies and contractors from various sorts of harassment and discrimination based on race, religion, gender, sexual orientation, national origin, political affiliation or disabilities. The order by Blanco stirred up complaints when it was put in place. Conservative groups derided the executive order while gay rights groups applauded it. Republican Gov. Bobby Jindal and GOP former Gov. Mike Foster didn’t enact similar executive orders in office.